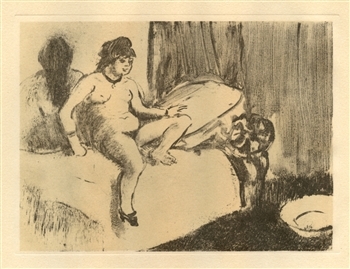 This recreation (after the original monotype) was printed in a limited edition of 1000 and published in Paris in 1948 by Quatre Chemins. 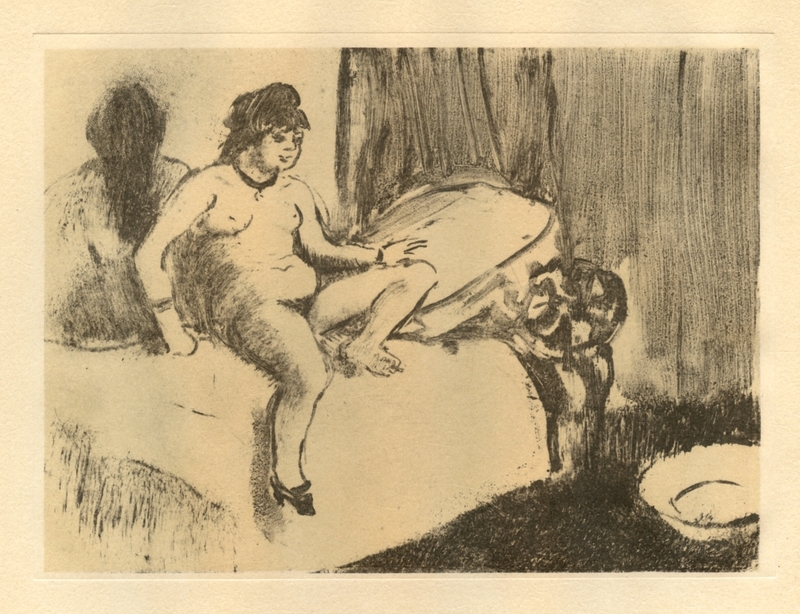 This impression was printed on Marais paper by L'Imprimerie d'Art G. Bouan and shows a platemark similar to an etching; the actual original Degas monotypes are virtually unobtainable and this edition makes an affordable alternative. Plate size: 4 3/4 x 6 1/2 inches. Not signed.